One of the most eminent engineers of the 20th century, both on the national and international stage, Professor Sir Alec Skempton was truly an influential figure in the discipline of soil mechanics. In the late 1940s he was instrumental in developing the subject, and formed the first university department of soil mechanics at Imperial College, London. Over the years the research, papers and books flowed, as did the accolades and recognition. But this is not a book about soil mechanics alone - it relates much more, about the man and how he really viewed life, how he approached challenges and how he would be content only with a job well done. It conveys his diverse interests in music, history and so much more. 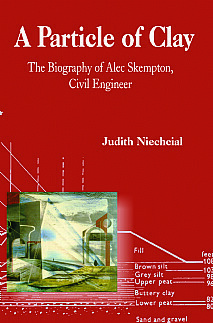 Written by his daughter, the book illustrates Skem's contribution to engineering knowledge, what influences formed him, and how his ideas developed. It reveals the private man behind the public image and in so doing it also sets in context a dynamic age in engineering. This fascinating book will be of especial interest to professionals and students in geotechnical engineering, engineering geology and indeed anyone with an interest in their history.